Investigate the world beyond their immediate environment, framing significant problems and conducting well-crafted and age-appropriate research. Recognize perspectives, others’ and their own, articulating and explaining such perspectives thoughtfully and respectfully. Communicate ideas effectively with diverse audiences, bridging geographic, linguistic, ideological, and cultural barriers. Take action to improve conditions, viewing themselves as players in the world and participating reflectively. At We the People High School, students develop the skill and agency to act as responsible, educated citizens in our globalized world. They also develop the social, emotional capacity to work through challenges and persist in the face of difficulty. 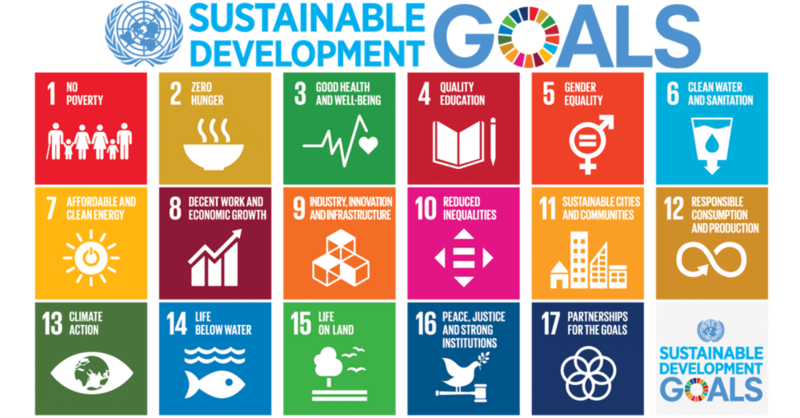 The United Nations’ Global Goals for Sustainable Development provide both a frame and a roadmap for true twenty-first century learning and action to occur. Using the Global Goals as a roadmap for education entails that we think differently about the what, where, and how of schooling. For example, ending extreme poverty means educating students to understand the historical and scientific roots of poverty, explore the impact of poverty on people, nations, and the planet over time and in the present, and take action to end extreme poverty at home and abroad. Each goal has implications that are local, national, and international. Solutions to each goal require interdisciplinary knowledge and the ability to employ the skills articulated above to propose a path forward, and to act with courage to design a future where nine billion humans can thrive, create, and live sustainably.